As presented at the Marketing Society 2013 Annual Conference, Paul Kemp-Robertson describes four fascinating trends that flow from emerging technologies and new consumer behaviours which form the basis for exciting brand marketing innovations in the future. Every year Edelman, the PR agency, produces a fascinating barometer about trust levels worldwide. Last year’s results show that people are increasingly trusting their peers more than anyone else. As the article by Babar Khan Javed in the Q1 2014 issue of Market Leader described, collaborative consumption – the sharing economy – is producing services such as Airbnb, TaskRabbit, Zipcar and RelayRides. These companies, which are all based on peer-to-peer recommendation and ratings, are starting to disrupt and supplant traditional ways of doing business. But what is also interesting looking at markets such as the UK and Germany, is that people are trusting corporations more than governments, regulators and local authorities. If consumers trust CEOs more than MPs, this gives brands a social and entrepreneurial space to occupy and an authority to move into areas that governments and authorities would normally control. Brands stand or fall by reputations built on trust, consistency and transparency. Therefore, in a sense, reputation in itself becomes a currency – particularly in a digital age where alternative forms of value are easily quantified. Thus, loyalty has the potential for becoming a micro economy. Let’s see how this might work. There have always been loyalty schemes – from Green Shield Stamps to Tesco Clubcards. But now technology – thanks to trackable data and intuitive algorithms – is changing people’s relationship with brands. A hypothetical example: Amazon Coins have been released recently, designed to be used inside apps on the Kindle Fire platform. However, what economists and media commentators such as Contagious Insider are saying is that the next obvious step of this trajectory is that Amazon coins could become a ‘shadow’ currency, operating on the wider Amazon site. Let’s say a book costs $10 on amazon. com. Using Amazon Coins rather than conventional dollars, it might only cost you the equivalent of $9.50. If you are a hyper- Amazon user, it might only cost $9.00, or less. These sorts of currencies would run alongside traditional ones – brand versus the Federal Reserve, so to speak. From a business perspective, it is a clever way of locking people into your brand’s ecosystem, ensuring that there is always an incentive to continue purchasing. Nike Mexico managed to convert sweat into a currency. The Nike+ FuelBand is a piece of wearable technology that allows users to track their physical activities, monitor weight loss and build an accurate profile, as well as being able to benchmark themselves against others using Nike’s data dashboard. From a CRM perspective it’s an absolute dream. The brand has created a community of advocates who regard Nike as a health and wellbeing partner, providing useful services and tools. 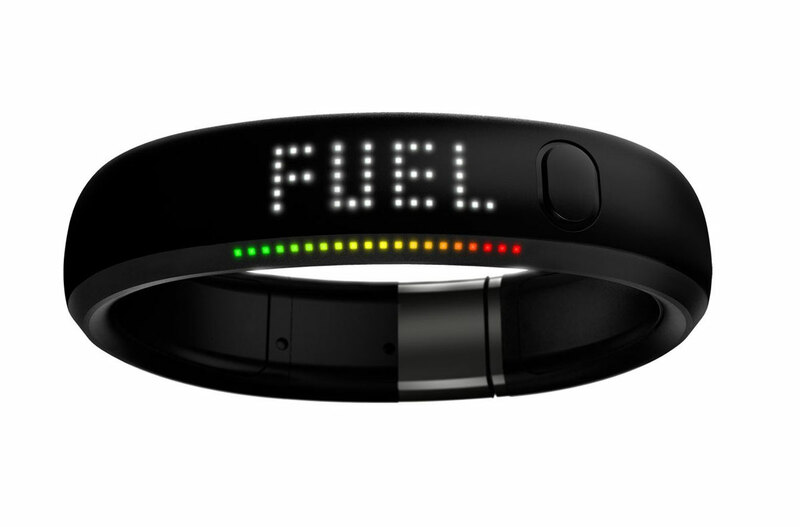 The Nike+ FuelBand becomes an integral part of their daily lives. Tapping into the community’s innate sense of competitiveness, Nike Mexico created a special auction whereby users could convert their accrued FuelBand points into a currency, allowing them to bid online for exclusive Nike merchandise that was not available for purchase with normal cash. In other words, you bid your sweat: the more you exercise and the more targets you achieve, the more likely you are to win goods at the auction. This is an innovative way of enhancing a brand relationship and encouraging people to pledge allegiance to a brand’s data ecosystem. One of my favourite examples of the new forms of currency comes from JWT Egypt. The Egyptian retail trade is dominated by small shops and market stalls. Traditionally, shopkeepers hate small change; they never have enough of it or it takes too long to figure it out so the queues get long and they lose trade. To circumvent this, it has become traditional habit to replace loose change with an object of similar value. So, if a shopper was owed 25p in change, the shopkeeper might throw in an onion, chewing gum or some aspirins to make up the difference. That was fine in the 20th century. The 21st century calls for something else. Vodafone worked with about 46,000 small retailers across the country – many of whom had no previous relationship with the brand – to create a new form of currency in the shape of mobile phone credits. They called this ‘Fakka’, which is Egyptian for ‘small change’. Shopkeepers were given Fakka tokens – Vodaphone credits – that sit in the till to hand out instead of an onion or something the customer may not want. The idea has proved successful: average revenue per Vodafone user has increased by 7% and Fakka revenues exceeded the company’s targets by 510%. The next trend arises from the insight, illustrated by the Edelman Trust Barometer, that people will accept brands filling – if indeed not expecting them to fill – vacuums left by cash-strapped governments or reluctant authorities. Brands have the financial muscle and the creative clout to play an active role in the wider society. Here are some of Contagious’ favourite examples. The Coca-Cola Company plans to install up to 2,000 kiosks in conjunction with the Clinton Global Initiative. 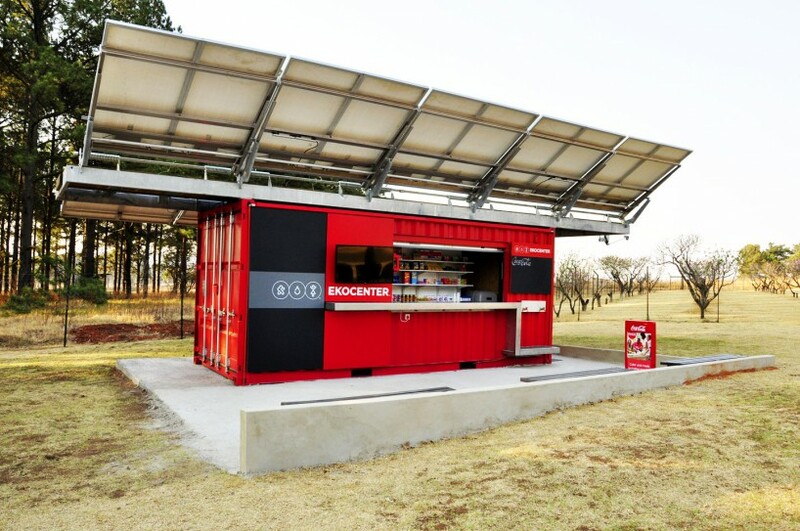 These units, which are designed to go into underprivileged places around the world, are branded by Coca-Cola. The Ekocenters are shaped like shipping containers and form an instant community hub. They are Wi-Fi connected, provide power and clean water and, interestingly, the retail component can only be run by female entrepreneurs selected from within the local community. This CSR initiative goes well beyond merely giving money as aid. Instead it provides an active involvement in developing communities to provide valuable services that local authorities have struggled to sustain. Being clearly branded with perhaps the world’s most famous logo provides an obvious element of trust, reliability and status. The Japanese belief in kaizen – whereby multiple small improvements can lead to massive changes in efficiency – underpins this initiative from Toyota USA. The company’s Toyota Production System business unit provides its logistical expertise to outside organisations seeking to improve efficiency. The profits generated enable the unit to provide 50% of its time to charitable causes. For example, after Hurricane Sandy hit the US, Toyota worked with the Metro Food Distribution charity to create the Meals Per Hour initiative. Prior to engaging Toyota’s services, the charity’s staff were taking three minutes to make up a food box, but by applying the kaizen process this was reduced to a mere 11 seconds. Similarly, the trucks that delivered the food parcels held 800 boxes but that was increased to 1,200. This practical approach is a prime example of a trend that Contagious has dubbed Pragmatic Purpose. This is where brands adopt a responsive approach, delivering practical solutions to social problems in ways that are rooted in their day-to-day business. The next trend is ‘contextual integration’. This is essentially at the concept stage now and stems from the observation that nobody lives according to media silos. Despite what the more traditional advertisers might think, 20-year-old women or 45-year-old men don’t wake up on a Saturday morning and think, ‘Hmm, I’d like to witness some branded content before breakfast, indulge in some social commerce on my laptop, get distracted by a viral advertisement before being subjected by some geo-targeted sales promotion as I walk to Sainsbury’s’. That’s because they are people, not consumers. The challenge for marketers is to connect with people within a specific context and time. This requires an understanding of different roles people play. For example, a 35-year-old man can be a dad, taking his son to school in the morning, then play a very different role at work and a different one again when at the rugby club with his mates in the evening. The challenge for brands is to find ways to look at the whole person in different roles – to see them as a diamond rather than a flat surface. The fourth trend – ‘living services’ – begins to show how contextual integration can work. Google Now is an obvious example, along with devices such as smart body analysers that track heart rate and weight through smart apps and smart scales. The market for contextaware computing is growing at 35% per year. So you have brands such as Apple, Nokia, Google, Intel and Microsoft all betting the farm on it. Marketers ignore this at their peril because services that can add value to people’s lives by learning and adapting to the user will become a competitive difference. When Delta Airlines came out of bankruptcy it decided to convert the whole company to the principle of service design, including the marketing department. It focused heavily on the customer experience. Take, for example, the insight that when you fly to Mumbai, the thing you are worried about is your suitcase ending up in Mogadishu. Delta already had the technology in place to know exactly where a suitcase was, so, by applying the principles of service design, its agency created a mobile app to enable passengers to track their bag at every single point of its journey. 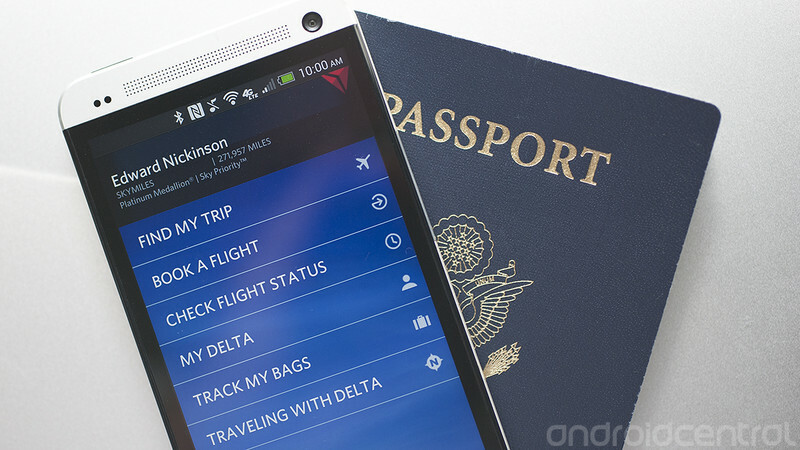 Instead of thinking of itself as a travel brand, Delta thinks of itself as a destination brand providing services such as Wi-Fi or an app that turns the plane into a glassbottomed boat allowing you to see and read about the landscapes you are flying over, as well as being able to connect via social media with the friends and family on your flight path. For Delta, the experience is the brand. One of the best examples of living services comes from Turkey. Garanti Bank believes that technology is the future of banking, which is why it employed a thousand analysts and software engineers in a separate technology unit called Garanti Technology. It’s also the future of marketing in the sense that we have to be in people’s lives, providing tools and solving problems. What Garanti has acted on is the centrality of mobile in the age of the connected consumer. Mobile is always on, always with you, and always logged in, making it highly personal and contextual. This led to iGaranti, a totally different banking platform. iGaranti is a smart financial coach on smartphones. It focuses on everyday financial needs of customers and, in addition to banking transactions, provides personalised services created to ease the users’ daily lives. Among its groundbreaking features, iGaranti recognises the favourite brands of the user based on their spending habits and offers exclusive campaigns from these brands. Through foursquare integration, the app also recognises the user’s location and actively informs them about any offers from nearby brands via a push notification. An estimated monthly budget is another plus for users. iGaranti makes estimations depending on previous spending. On a single screen, customers can see their balance and schedule monthly payments and savings. An avatar makes smart advice based on the outlook. Another first is that iGaranti, being a socially connected application, allows money transfers to Facebook or Foursquare friends, or directly to phone numbers. Now the smartphone becomes a digital wallet, as iGaranti users can add all their cards by scanning them into ‘Wallet’ and storing them, as well as withdrawing money from ATMs or making payments online or shopping by using only a QR code. iGaranti also features a mobile ‘piggy bank’, where users can make savings with a single click. Lastly, users can navigate within these features just by speaking to the avatar. Accenture recently conducted a study which reported that 61% of millennial shoppers would trade privacy for personalisation. If you provide what people want, that is useful and free, that makes their lives better, reduces friction and solves problems; they don’t seem to care about the privacy issue. All of the trends I have discussed and the examples I have used are at the cutting edge of people’s relationship with technology and point the ways that trusted brands can and should take advantage of this. Does this feel like marketing? Probably not in the traditional sense, but to the people on the other end it is, by enhancing their relationship with the brand. So the brand becomes a service – becomes the experience – becomes the marketing – becomes the brand in a virtuous circle of reinforcement. Paul Kemp-Robertson is co-founder and editorial director of Contagious Communications. Read more in our Clubhouse.